Lucky Forward: The Lorraine Campaign (6 Sep-13 Dec 1944). This GOSS series game would present Third Army’s Fall 1944 offensive to just before the Germans launch their Ardennes Offensive further north. The battles of Metz, Fort Driant, and the German counteroffensive attempt against Patton using the new German Panzer Brigades would all be here. Smaller scenarios would allow the players to game smaller periods of time in each of the four months making up the campaign. The game would mate to Wacht am Rhein (2012), allowing more options for both simulations. Four maps, 16 counter sheets. Axis Empires Expansion Kit. Fans of Axis Empires: Totaler Krieg and Axis Empires: Dai Senso will want to get this – it’s a big, big package designed to add even more enjoyment to our popular series of World War II grand strategy games. The AE Expansion Kit includes three parts. 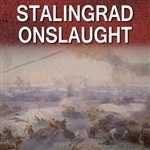 Stalingrad (solitaire). This would be the city fight at a battalion level with scenarios for the initial rush, the fight for Tractor Factory, and a campaign scenario. One mounted map board, two counter sheets (352 counters), 55 cards, full color play aid cards, and a 48-page full color rules booklet. Anaconda is a card game of the American Civil War naval operations, and simulates the Union’s attempt to defeat the Confederacy by seizing control of the Mississippi River and blockading major ports, thus strangling the South’s economy and ability to wage war. 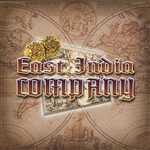 The game has elements of play similar to Naval War (AH) and Enemy in Sight (AH) as well as Battle Cry of Freedom (DG). Saipan (solitaire). This would be the fight for the island battle made famous in the movie, The Windtalkers. Included would be a campaign scenario, with smaller scenarios for the initial invasion, Death Valley, and the drive north. One mounted map board, two counter sheets (352 counters), 55 cards, full color play aid cards, and a 48-page full color rules booklet. 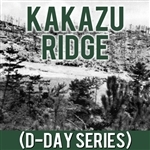 Kakazu Ridge (solitaire). This would be one of the toughest parts of the battle for Okinawa. Covers the early assaults towards the Shuri Defense area. Included would be a campaign scenario, with smaller scenarios for phases of the battle. One mounted map board, two counter sheets (352 counters), 55 cards, full color play aid cards, and a 48-page full color rules booklet. 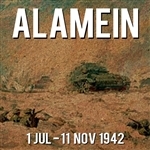 Alamein (1 Jul- 11 Nov 42). Rommel’s DAK is checked and then defeated in a series of battles. 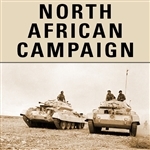 But the Axis forces might have broken through and continued on to Alexandria, Cairo, and the Suez Canal. Three to four maps, 12-16 counter sheets. 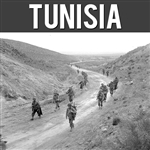 Sicily (1 Jul 43-31 Aug 43). 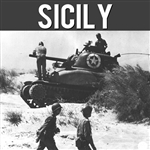 Patton’s Third Army and Montgomery’s 8th Army battle some of the best German units for control of Sicily. Three to four maps, 12-16 counter sheets. 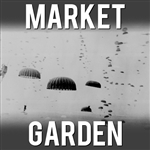 Market-Garden (September 1944). Montgomery’s plan to breakthrough to the Rhine. US, British, and Polish airborne forces attempt to seize key bridges while British 30th Corps attempts to punch through to Arnhem. Smaller scenarios would cover portions of the campaign. Three to four maps, 12-16 counter sheets. Desert Fox Deluxe. This would be an update/reprint of the issue game in S&T #300. It would include an update of the rules and counters, plus Chris Perello designer’s notes/booklet. It may include mounted game boards (presuming we can work out the cuts and folds for the various sizes in the original) and include a deck of cards for the events. Join the topic on CSW to discuss the possibilities. 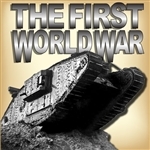 First World War. An update of the SPI classic. The new design will include a new map at the same scale but specifically created for this WWI conflict. Counters will be mostly division-level with stacking generally one corps per hex. Air and naval units will be included. Pax Britannica is a classic Victory Games game of conflict and diplomacy where two to eight players take the role of colonial powers from 1880 to the Great War. Greg Costikyan has updated this second edition to be streamlined and easier to play. The record keeping has been greatly simplified, the levels of control have been reduced from four to two, and the random events are now on cards. War in Europe. 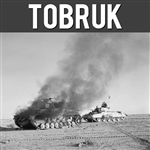 A thorough update of the ground system to better simulate the blitzkrieg in the west, operations on the Eastern front, and the unique situation in North Africa along with enhancements to the air and naval systems to improve simulation value. Maps will be updated specifically for the WWII conflict. Nine maps plus several half- and full-sized displays, 16 counter sheets, two 48-page rules booklets. 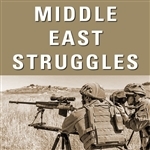 Hegemony: Struggle in the Middle East is a card-driven board game of geopolitical conflict simulation of actual events. Players represent the three regional powers in the contemporary Middle East: Iran, Israel, and Saudi Arabia. They compete for influence on the region’s map while maintaining internal cohesion and securing support from world superpowers. 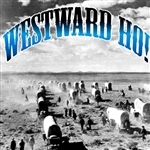 Westward Ho! Two to six players take the role of powerbrokers building the American west, from 1848 through 1881. In each turn players take actions to move pioneers into new territories, build railroads, rake off profits from new industries, and other actions. There’s plenty of action, with the US cavalry, Indians, militia, and famous outlaws all involved. Bleeding Kansas refers to a period of territorial violence that occurred in Kansas between 1856 and the outbreak of the Civil War in 1861. Historians consider the struggle between pro and antislavery forces to be the crucial conflict that led to the Civil War. Banana Wars (1898-1935). US intervention in Latin-America involved the US Marine Corps, Army and Navy. Caribbean nations were invaded, occupied, and sometimes native politicians deposed. Battles with native rebels were frequent. Protecting and promoting economic concerns lay at the root of US military intervention. 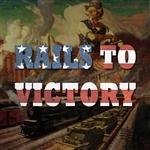 Rails to Victory. Take charge of America’s World War II struggle to run its railroads so as to win the war most quickly and efficiently. 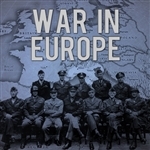 Players vie to build a rail system that can move the most men, weapons and supplies needed for the Allies to win in the European and Pacific Theaters of Operations. Star Force Alpha Centauri covers the initial human penetration into interstellar space, with the map showing the local group of stars in three dimensions. This will have several different races of sentient beings, each with their own psychology, reflected in different capabilities and objectives. 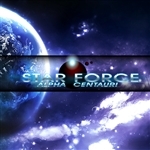 Game units will include: star forces (four ships each), star gates, and star soldier strike commands. 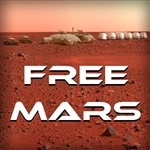 Free Mars (SPI). From the colonies of Mars to the orbital stations of Earth and to the outposts on Jupiter, the cry is heard, “Free Mars!” This is a science fiction wargame of revolt across the Solar System in the late 21st century. Earth’s colonies are rising up against an oppressive Terran Federation. The system is based on SPI’s Battlefleet Mars, but with additional forces and units representing several types of spaceships, ground units and special forces. Austerlitz, 2 December 1805 . Napoleon's most decisive victory was brought about by a successful French deception causing the Coalition armies to overextend their lines. This game would recreate the uncertainty faced by both sides with variable deployment, hidden entry, and optional orders of battle. Cobra (Strategy & Tactics #251). This is a ziplock reprint of the original game. It has two maps. Est. Retail: $50 (Est. Pledge $40). Operation Mars (25 Nov-20 Dec 1942). Zhukov’s Grand offensive to destroy the German 9th Army still at the gates of Moscow. It would encompass the battles centered around Rzhev. Smaller scenarios would depict the offensive on both the western and eastern sides of the Rzhev Salient, while the larger campaign scenarios would show the operation in a larger scope using multiple maps. Quatre-Bras, 16 June 1815 . Two days before Waterloo, the French left wing under Mashal Ney encountered Wellington's army at the crossroads of Quatre Bras. Unknown to Ney, he faced only a thin line of troops as the bulk of Wellington's army raced to the front. Uncertainty, compounded by conflicting orders from Napoleon, delayed the French advance for several critical hours.